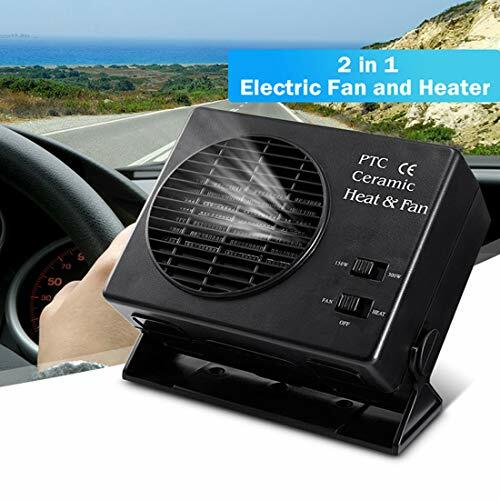 This ceramic heater and fan provides instant heat even in the coldest conditions. This product can provide the comforts for professional drivers and travelers. 1. Please read the user manual carefully before using the product. 6. If the product has only cold air but no warm air, that is the fuse overload protection, so needs to check whether the line is aging or if it needs to replace a better fuse. 7.When switch to "300w" key,the current of the car is up to 25A,please make sure you car can work in this situation. 8.If there is a big difference in temperature between outdoor and indoor,the fan heater will get the air warm up slower than usual,this siuation is normal.